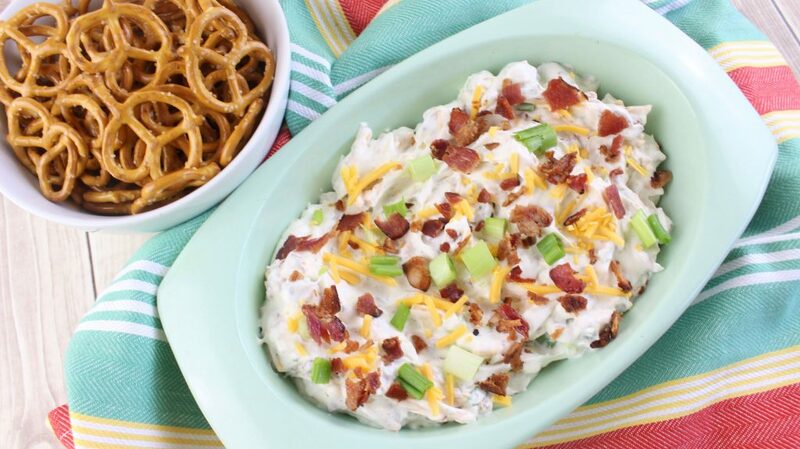 This Loaded Ranch Dip is perfect for entertaining. 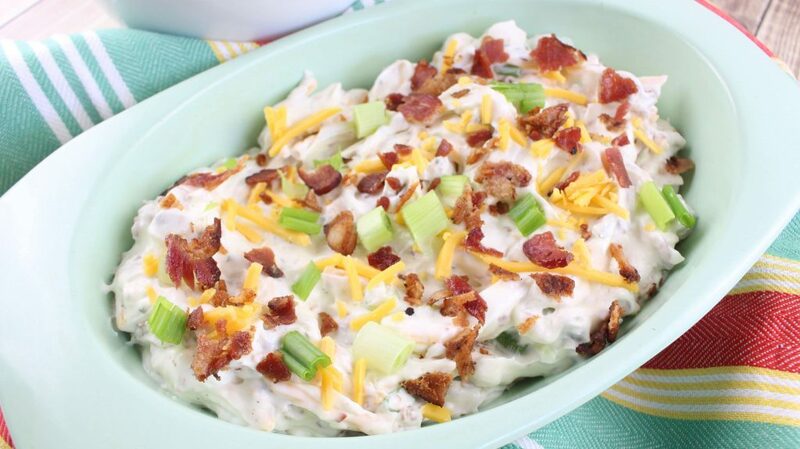 Everyone loves the flavors of ranch dip topped with bacon, cheese, and onions. 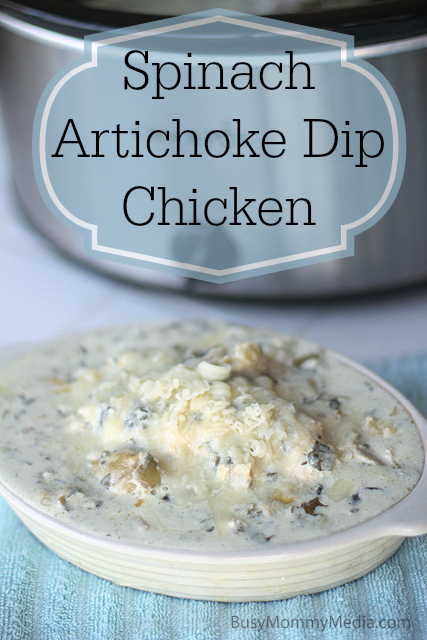 Perfect for dipping just about anything into, this easy dip recipe is always a hit. 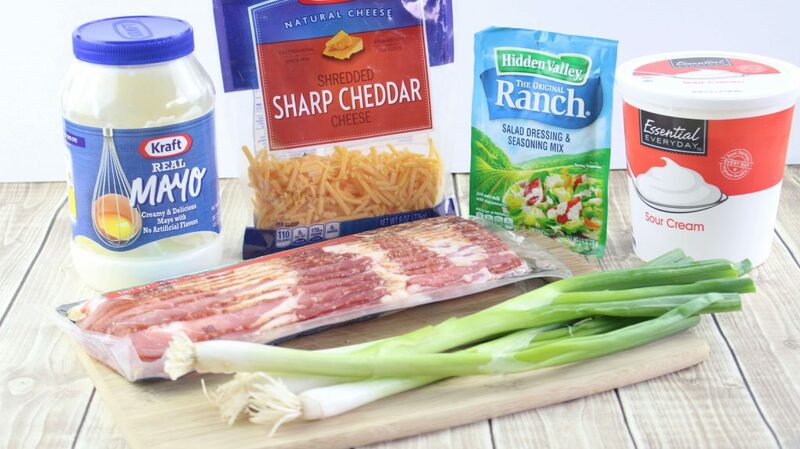 Ranch is a classic flavor that goes well with just about anything. 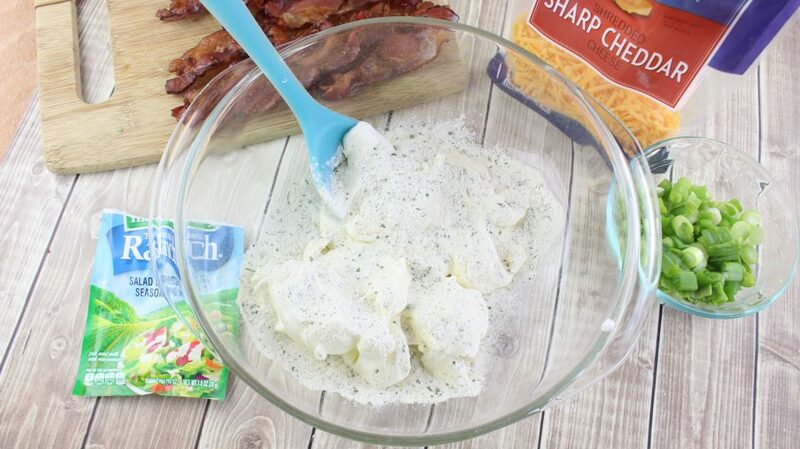 This Loaded Ranch Dip is always fun to pull out for a party or is great just to throw together for a quick weekend treat. We serve this with whatever we have on hand, usually pretzels, crackers, chips, and an assortment of veggies. 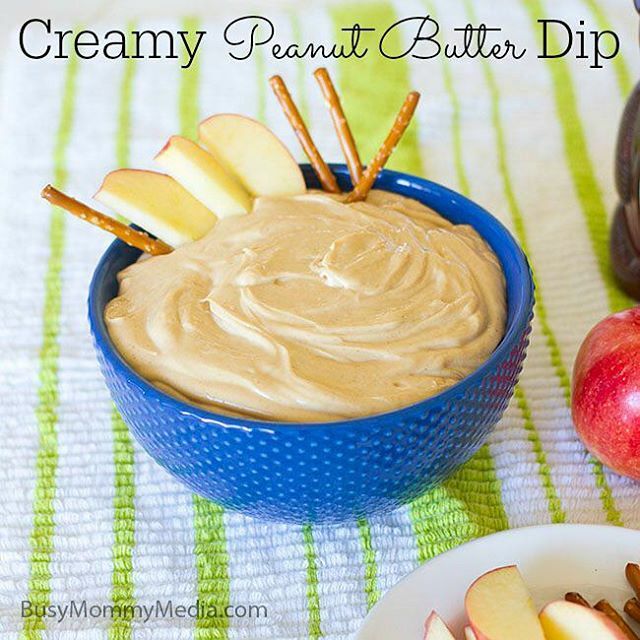 My favorite is cucumber slices but my kids love this with pretzels. Whatever you decide to serve this with, it’s definitely a crowd pleaser. 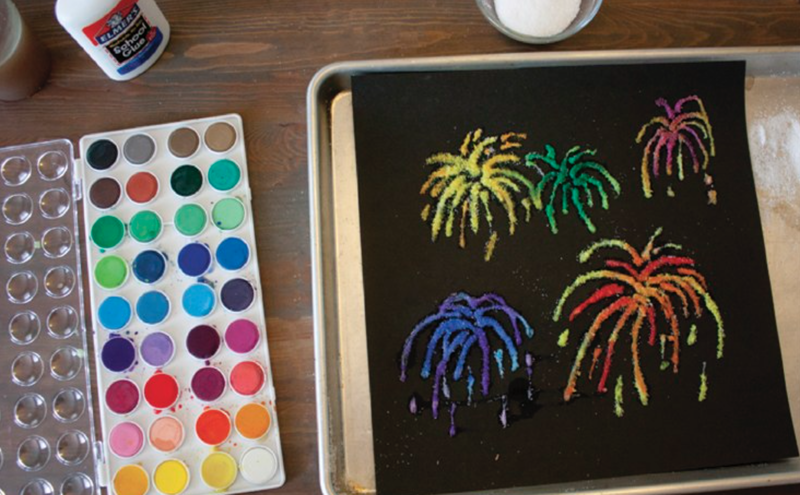 We love making this when we have friends over but it is also easy enough to make that you can really enjoy it anytime you want. 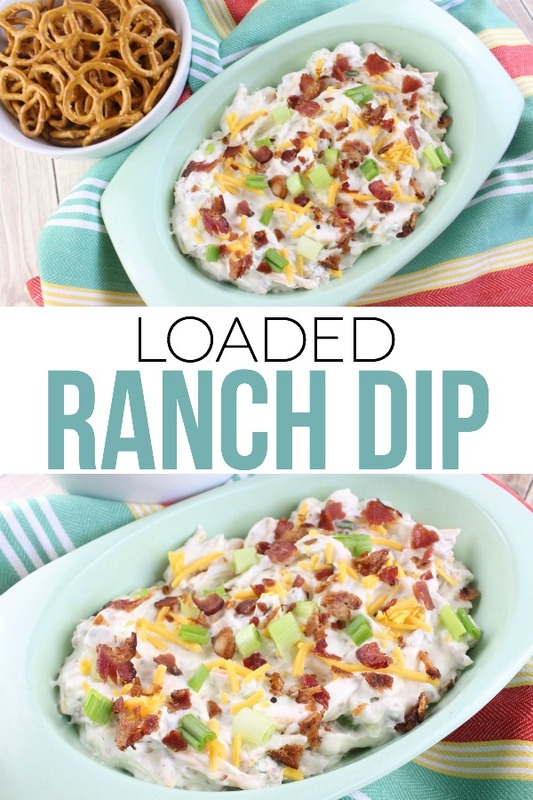 I usually have the ingredients for this Loaded Ranch Dip on hand so it is easy to throw together when I need to quick dish for a pot luck or party. 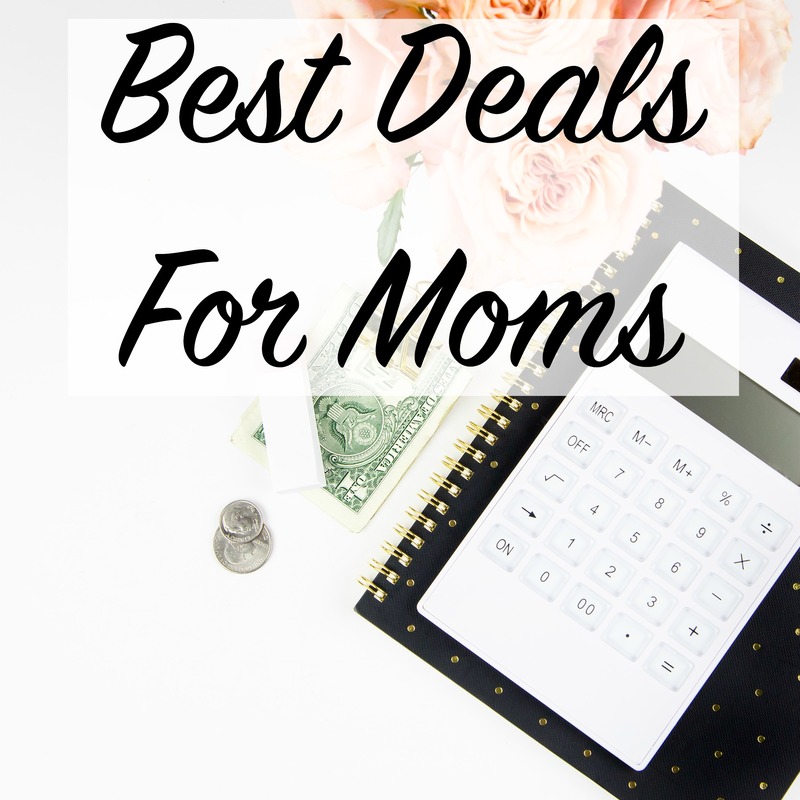 11-ounce packet Hidden Valley Ranch dressing – I like stocking up on these from Amazon. 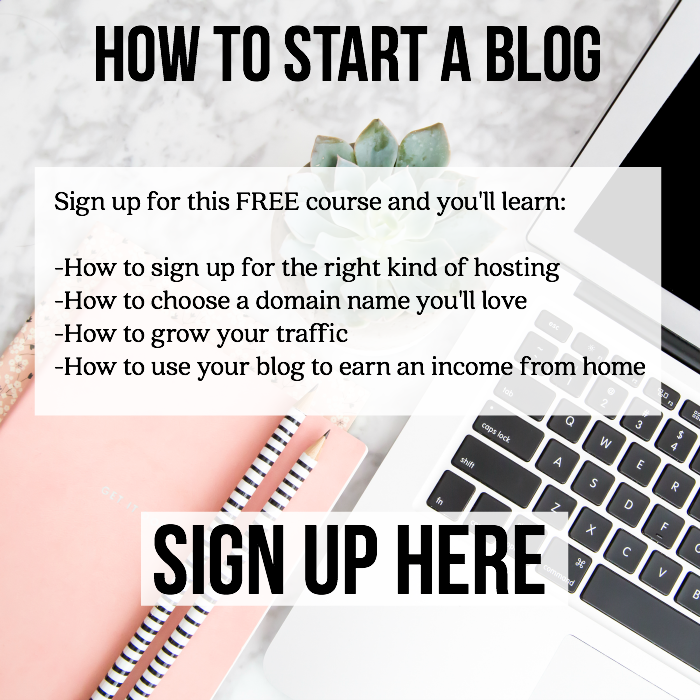 READ ALSO: Get 14 Days of KETO Meal Plans for Free! 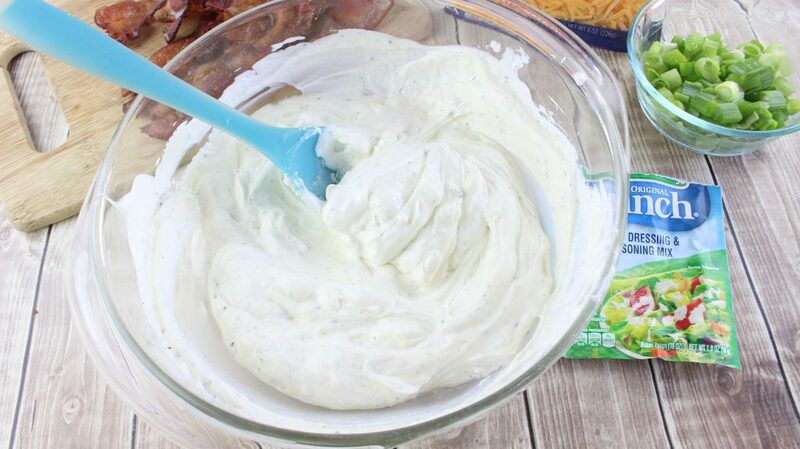 In a large mixing bowl, add the mayonnaise, sour cream and ranch mix. Fold in the bacon, cheddar cheese and green onions. (Save a handful of each ingredient to use later for garnish). 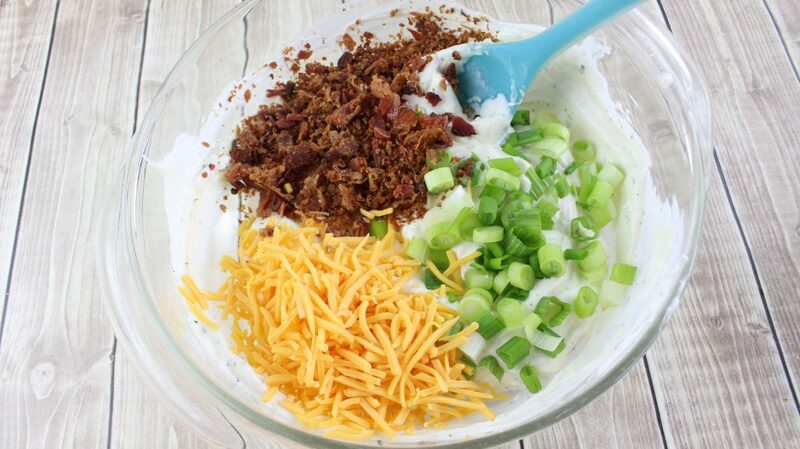 Before serving, garnish with a sprinkling of cheese, bacon and green onions. 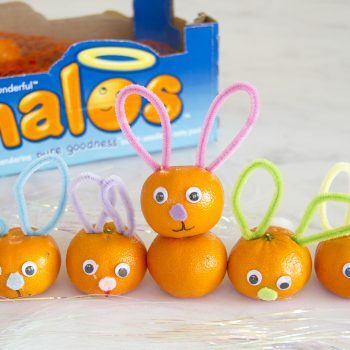 Serve with crackers, chips, pretzels or fresh veggies. Enjoy! 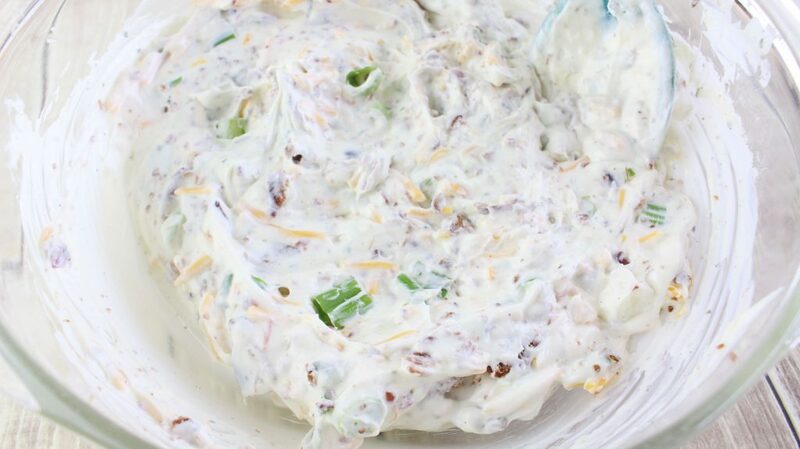 This ranch dip is a favorite with my family and one of our go-to recipes when we need to feed a crowd. 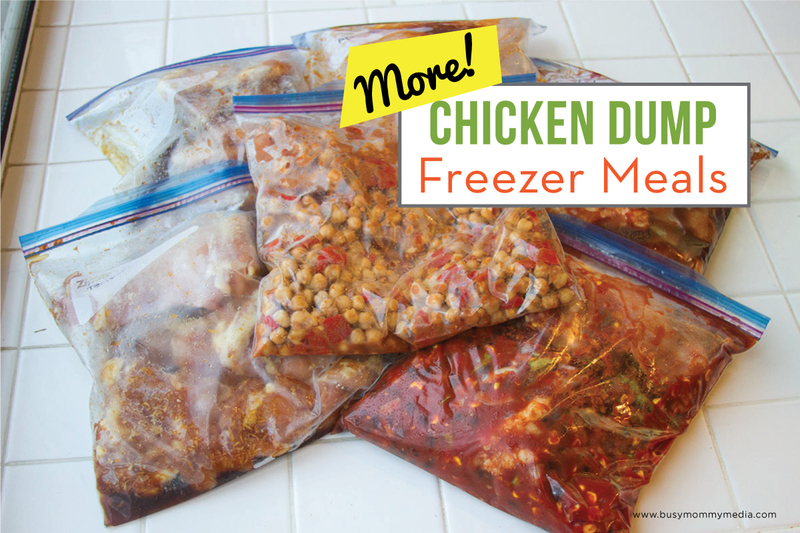 Are you looking for more easy recipes? Trying to stick to a KETO diet can be tricky if you don’t know what to make. 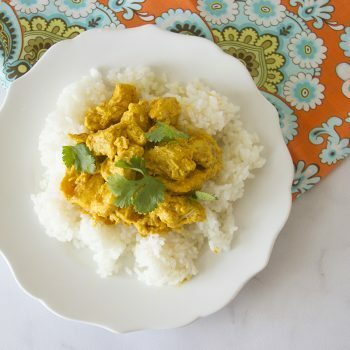 I was so excited to hear that eMeals (one of my favorite meal planning tricks out there) has come out with a 4-week KETO meal plan. My family has absolutely loved everything we have made from this. I have a few picky eaters too, and I haven’t heard any complaints. If you’ve been thinking about going KETO, eMeals is the easiest way to go. 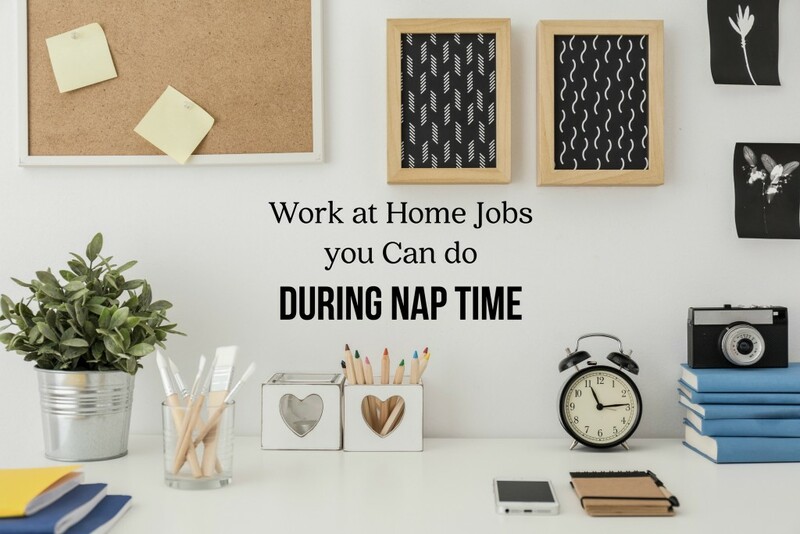 Try it free for 14 days HERE. How this be prepared the night before? Or will the bacon get too soft?